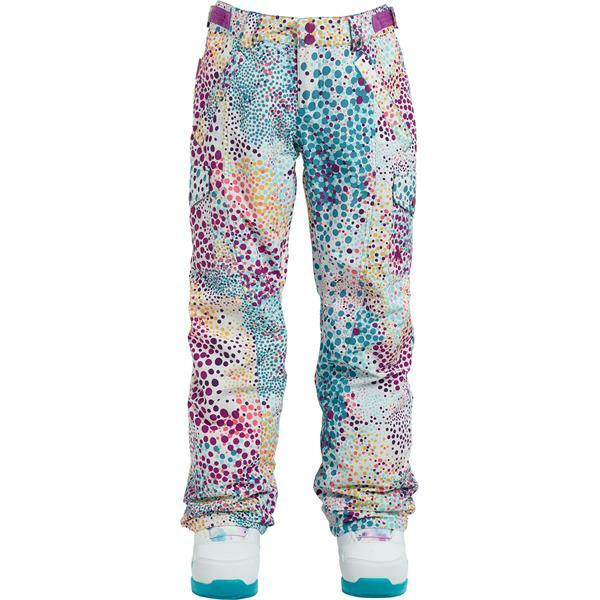 Great for girls who are ready to spend plenty of time on the slopes this winter, these girls' Burton Elite Cargo snowboard pants are the perfect option. Featuring DryRide® waterproof material and Thermacore insulation, your young one will stay dry and warm through whatever conditions come her way. 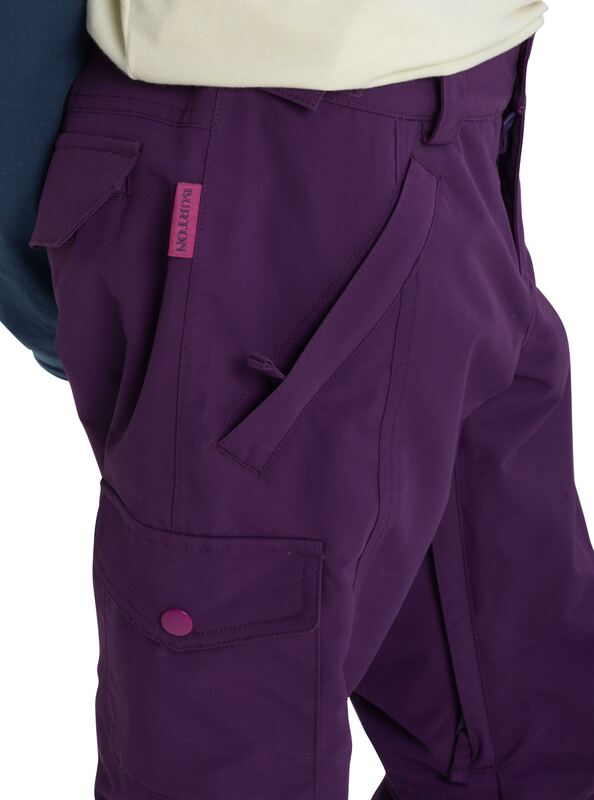 These girls' snowboard pants have inner thigh vents to prevent overheating and YKK zippered handwarmer pockets for keeping small items stored safely. The Burton Room-To-Grow system allows these pants to "grow" with your child so that she can wear them season after season. Whether she wants something bright and bold or something more neutral toned, these Burton snowboard pants come in a variety of options that fit any style preference. 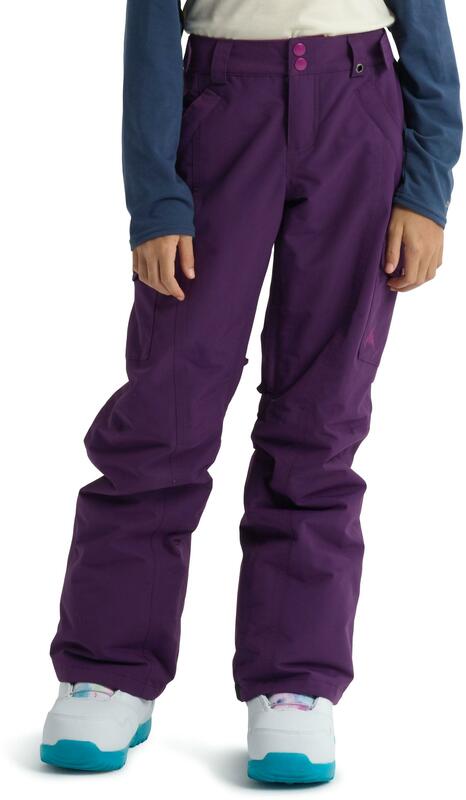 Let her enjoy the outdoors while looking her best in these girls' Burton Elite Cargo snowboard pants.